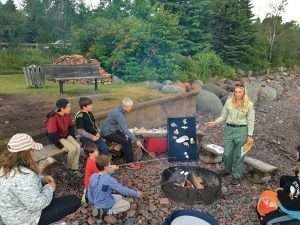 Walk through the North woods, pick up agates on the beach, learn about the call of the loon or the cry of the wolf, sit by a campfire — and you’ll find that your appreciation of the North Shore and Superior National Forest is enriched. Bluefin Bay Family of Resorts is delighted to be a founding member of the North Shore Naturalist Program in partnership with the United States Forest Service and Visit Cook County. Each summer, naturalist programs are offered at a variety of resorts and campgrounds along the North Shore, including Bluefin Bay. The programs are free and to the public regardless of where they are located. Join a United States Forest Service naturalist as they explore the forest from its wolves and butterworts to its lumber mills and people, and learn more about North Shore history. Maybe you’d like to use a bat detector to check out the local night life, or walk on a 1.1 billion year old lava flow. Perhaps you’d rather toast a marshmallow on the fire or try your luck at finding blue winged warblers. Naturalist programs are educational for all ages from kids to grandparents. 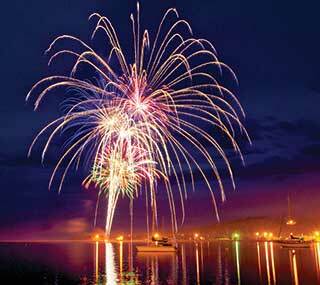 Check out two programs hosted this year at Bluefin Bay Family of Resorts every Wednesday and Friday nights from June through August, 2018. Or visit this link to check out the other programs nearby. 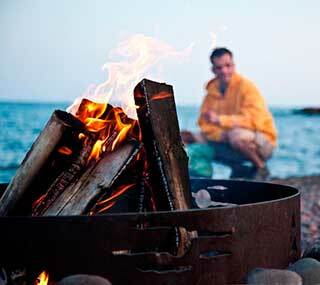 Legends of the Loons – Every Friday night at the Bluefin Bay Beach from 7:30-9:00 p.m. 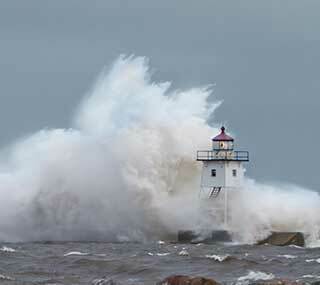 The call of the loon sends chills up the spines of everyone in the North. 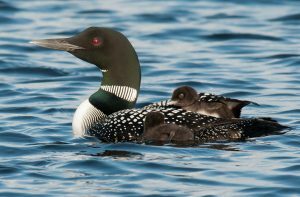 Learn about life as a loon. We’ll also share some stories of the bird known as The Great Northern Diver. Wolves in the Night – Every Wednesday night at the Bluefin Bay Beach from 7:30 – 9:00 p.m. Nothing means wilderness like the lonely cry of a wolf. Admired or hated, wolves stir people’s emotions. Learn about Minnesota’s most famous residents. 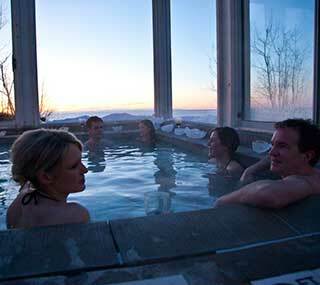 These programs are open to both Bluefin Bay Family of Resort guests, as well as the general public. You don’t need to be staying at the resort to join the program. Check out our resort calendar of activities and events here for the summer 2018 schedule.